Join us for a warm drink and treats before the talk starts at 7 p.m.
Tickets: This event is free, but please register online to reserve your space. 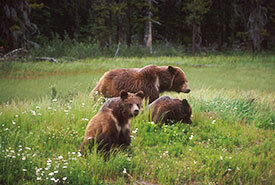 Michael Proctor has come face to face with more grizzlies that he can remember, and he always lives to tell the tale. 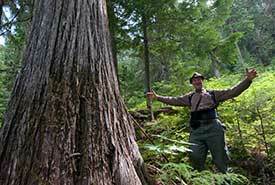 Join the Nature Conservancy of Canada (NCC) and grizzly bear biologist Michael Proctor for a bear's-eye view of life. Dr. Proctor will share his insights into the habits and habitats of this iconic species. His stories show how their future will be shaped by the decisions and actions we take today. 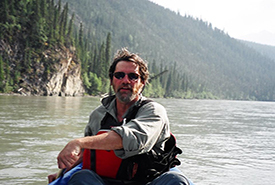 Michael Proctor is a renowned grizzly bear expert and the lead Canadian researcher in the Trans-border Grizzly Bear Project. He works with the South Selkirk grizzly bear population, a small and threatened group of approximately 45 bears that roam the mountains around Nelson and Creston in BC's West Kootenay. NCC's Darkwoods Conservation Area forms an important part of their home range, and Michael has been catching bears to outfit them with radio collars since 2006. Knowing where the bears go — and where they don't go — is critical to guiding efforts to protect habitat for these magnificent and ecologically important creatures.